2016 Prime Cuts Baseball arrives Wednesday at Sports Cards Plus, carrying on a rich tradition in terms of both look and content. The product boasts an all-thriller, no-filler makeup that delivers five autograph or memorabilia cards in every five-card box. 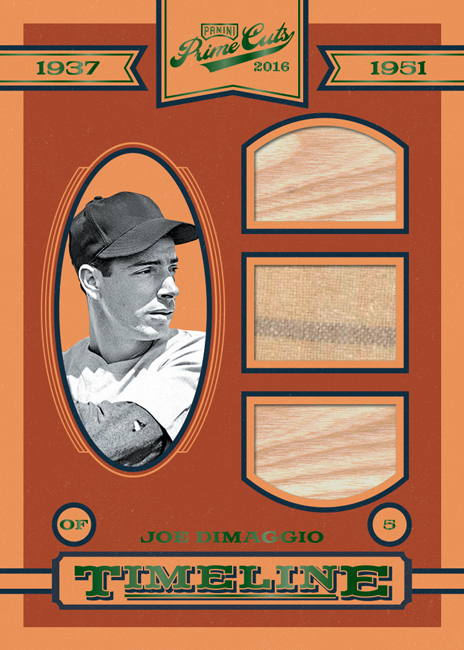 A generations-spanning tribute to America’s pastime, 2016 Prime Cuts Baseball offers a diverse checklist featuring the game’s greatest legends, top current stars and potential-laden rookies. The highlights of the product are many and include . . .
-- On-card autographs of top 2016 rookies including, dual- and triple-swatch versions. -- A large base set bolstered by three on-card autograph subsets, five memorabilia card subsets and four additional autograph subsets. -- A checklist dotted with legends such as Babe Ruth, Lou Gehrig, Roberto Clemente and Ty Cobb in the base, Icons, Biography, Timeline and Combo Player Materials. -- Booklets include Rookie Autographs Jumbo Material, Rookie Autographs Silhouette Combo Materials, Prime Six Signatures and Prime Eight Signatures. 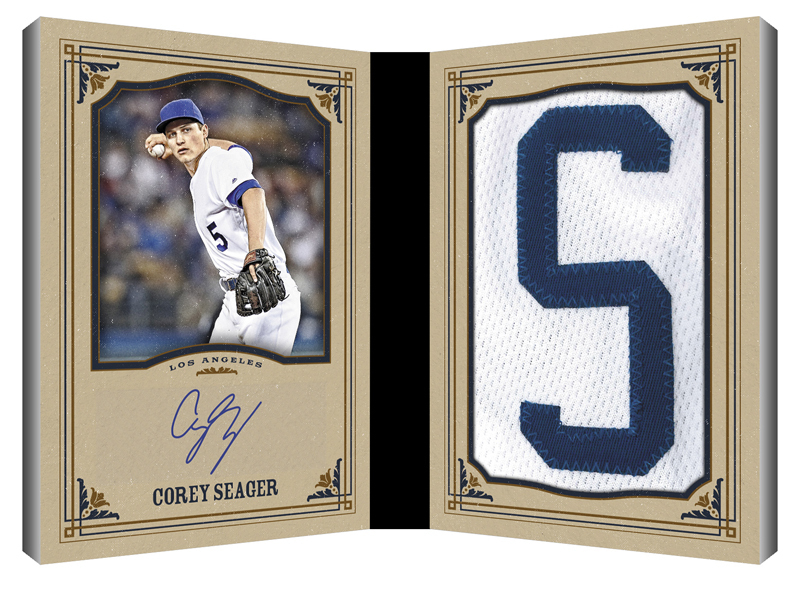 -- Each five-box inner case will deliver either a cut-signature card or booklet card. -- The Biography insert highlights a moment from each player’s career paired with a piece of memorabilia. Look for four parallels numbered to 49 or less. Also find Biography Jumbo. -- The Rookie Autographs Jumbo Materials insert pairs top 2016 rookies with an autograph and jumbo piece of memorabilia. 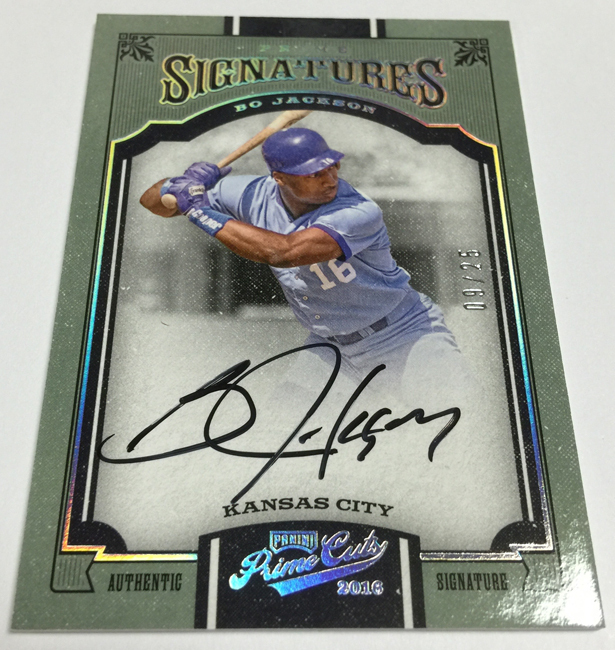 Look for Prime parallels numbered to 10 or less. -- Look for five different Timeline sets: Timeline, Combos, Trios, Quads and Stats. Each version has three parallels numbered to 25 or less. -- On-card autographs of some of the hottest 2016 rookies with four parallels numbered to 49 or less. -- The Prime Signatures chase features on-card autographs from a mix of current and retired superstars. Look for four parallels numbered to 49 or less. 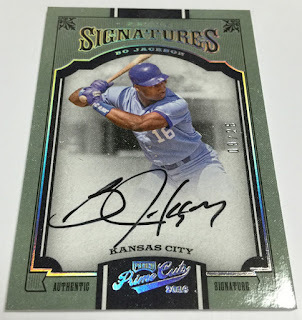 -- Prime Cuts Rookie Autographs includes on-card autographs and up to three pieces of memorabilia for some of the hottest 2016 rookies; also look for dual-swatch versions. -- Find five Base material cards, each with a different swatch size. Look for a variety of current stars, retired greats and legends. Each version has four parallels numbered to 49 or less. -- Look for five different Icons sets loaded with memorabilia from some of the game’s greatest: Jerseys, Bats, Numbers Combos, Numbers Trios and Numbers Quads loaded with greats of the game. Each version has three parallels numbered to 25 or less. 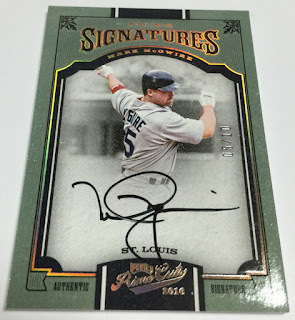 -- Four Base autograph versions including Base, Single, Dual and Triple swatches. Each version has four parallels numbered to 49 or less.